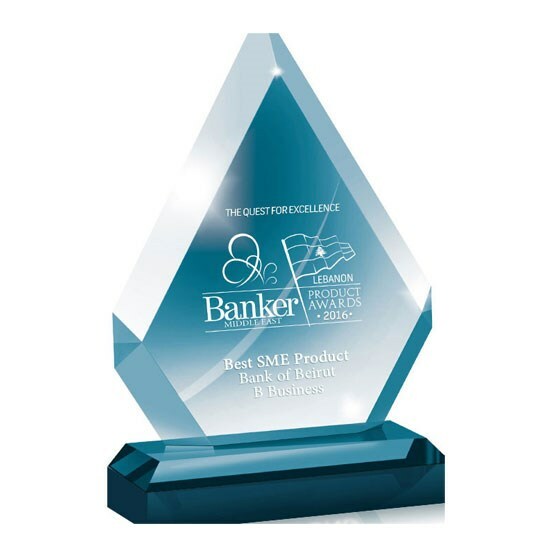 Bank of Beirut has won the “Best SME product” Award 2016 by Banker Middle East magazine. The recognition is an endorsement of Bank of Beirut’s long history of serving SMEs, start-ups and entrepreneurs and a tribute to its “B-Business” package. Covering a choice of an entire spectrum of lending solutions and services, the Bank’s awarded product also pioneers practical ways to support the growth of small enterprises.